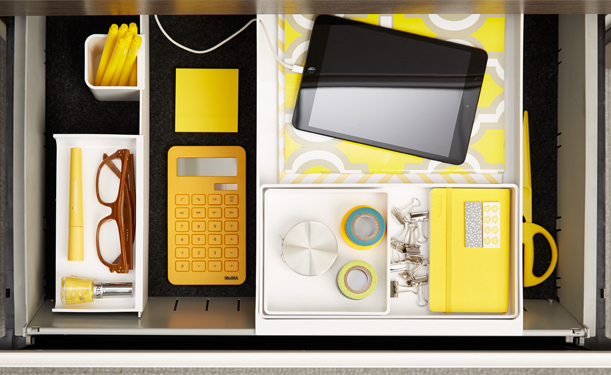 Work styles are changing and the contents of desk storage have shifted from paper files to personal items. From tennis shoes to tablets, the File Drawer Insert fits inside lateral file cabinets and creates two new functional levels of storage for all your belongings. The top level slides back and forth, making it easy to grab any item from your drawer. Instead of digging for your supplies in a large drawer, everything at your workstation has a home. 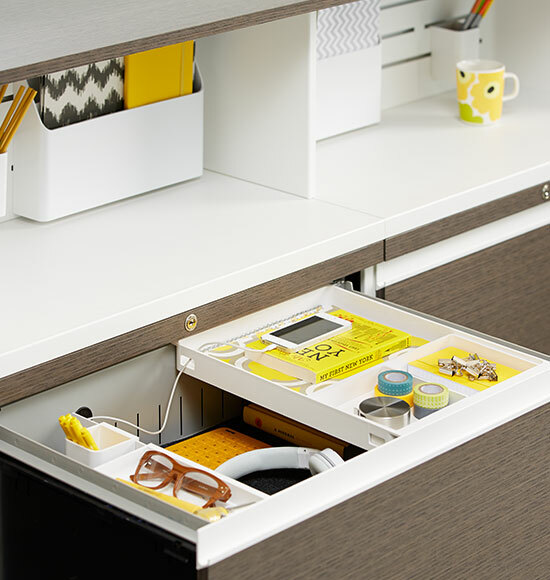 The File Drawer Insert also accommodates Haworth hanging accessories, including the pencil cup and mini shelf for added organization. Clean up your workstation by hiding those unsightly cords. Run power directly into your drawer so you can charge your cell phone or tablet without cluttering your desk.